The CTOS SME Financial Health Indicator (FHI) is a risk rating system that evaluates the financial position of a company in the next 12 months and assigns a potential credit line for the company. It’s a fast and easy way to assess your potential or existing customers and business partners (small-and-medium sized enterprises) without the hassle of complicated financial analysis. 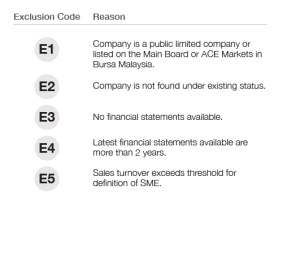 It has two components that can be used in conjunction to assess an SME’s financial position and determine the appropriate level of credit to be extended. 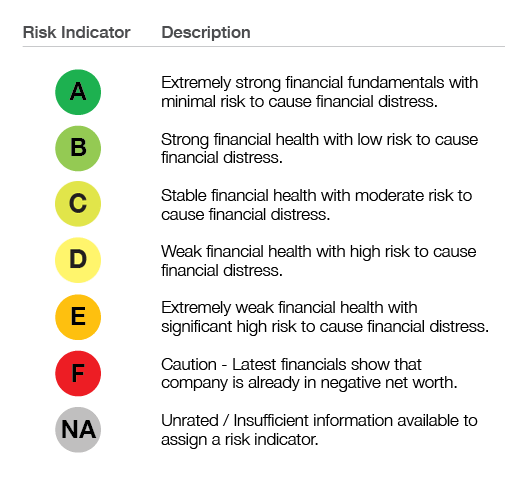 The Risk Indicator is divided into 7 bands starting from A to F, in increasing order of the indicative risk profile of the company’s financial position within the next 12 months. In cases where the indicator cannot be computed, an exclusion code will be shown. The Potential Credit Line refers to the total amount of loans that can be extended to this company. The stated Potential Credit Line range amount can be considered as acceptable risk, subject to the risk appetite of the lender. For example, the Company below can potentially take on the credit lines of up to RM1,000,000 to RM2,000,000. If you are planning to extend a clean loan or credit line to this Company, it can help you decide how much to extend to the Company. Please bear in mind that the figure refers to total loan exposure, which could be from multiple lenders added together so you might not be the only one. ► How to use it? Making assessment faster as information used is consent-free. Pre-screening of your borrowers which can significantly improve prospecting, sales and operational efficiencies. Supplements the underwriting process by providing an objective and consistent interpretation of the credit risk associated with your borrower. 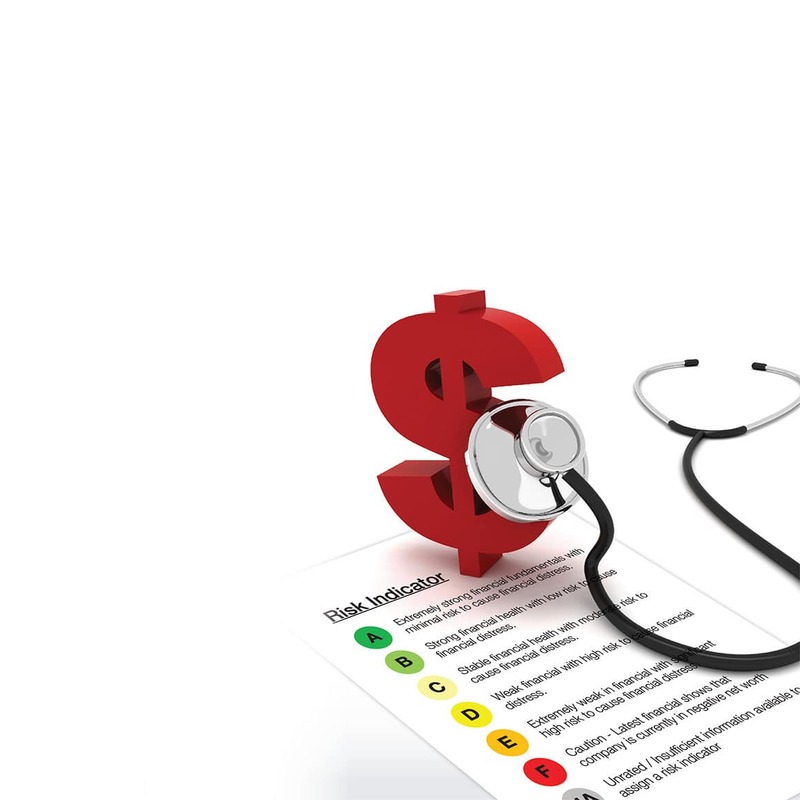 Manage the portfolio health of your borrowers more easily. CTOS SME FHI supports your Risk Mitigation, Business Expansion and Portfolio Retention strategies effectively. Provides recommended limits to help you decide how much to lend by assessing the risk appetite of your borrower (based on your borrower’s total loan exposure). DISCLAIMER: The SME Financial Health Indicator is not a recommendation nor is it an expression of opinion or fact. It is also not a substitute for the skill, judgment and experience of the user when making business decisions. These observations are based on the latest available information compiled from data sources, over which CTOS does not guarantee the accuracy, completeness or timeliness of the information. CTOS disclaims any and all express or implied warranties, and is not responsible for any credit or investment decisions, costs, damages or other losses resulting from the use of it. The user hereby agrees to accept responsibility and liability for any credit or investment decisions or such other actions or omissions taken by it based on the SME Financial Health Indicator in question and shall hold harmless and indemnify CTOS against any costs, losses, claims or damages arising as a result of its actions and/or omissions in respect of the same.